RESET is a volunteer organization of science, technology, engineering, and math (STEM) professionals whose mission is to motivate children to discover and explore the worlds of science and math, and to encourage them to consider educational and career choices in related fields. 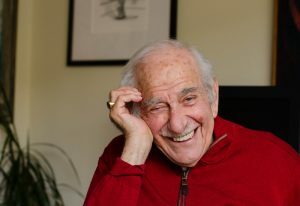 Founded by author and educator Dr. Harold I. Sharlin (1925–2017), RESET is a successful educational nonprofit that has served the Washington, DC metro area since 1988. Through hands-on science lessons, interactive experiments, and related field trips, RESET volunteers teach children in ways that are engaging, relevant, and fun, helping them to make important connections between life and learning. An innovative teaching model, RESET is based on the premise that children must enjoy exciting and positive experiences with Science-Technology-Engineering-Math (STEM) subjects as early as possible to sustain interest, motivation, and performance in these subjects throughout their educational career. From its inception RESET had a goal to partner professional scientists and engineers with elementary school teachers to help children—many of them underserved students from low-income neighborhoods—develop a passion for science, to improve the quality of science and math education in the U.S., and to address current deficits in academic achievement and professions in these fields. There were seven volunteers in RESET’s first year of operation, serving mostly inner-city schools. 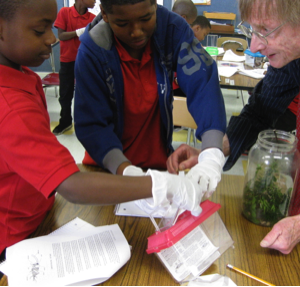 Those first RESET sessions convinced Dr. Sharlin that the most effective and meaningful way of teaching children science was through hands-on, inquiry-based experiments that got ALL students actively involved. Since RESET began, more than 1,000 volunteers have participated in the program. The caliber and dedication of RESET’s volunteers is impressive. Among RESET’s active volunteers are professionals from the fields of physics, statistics, medicine, environment, biology, computer science, anthropology, chemistry, neuroscience, and civil, aerospace and mechanical engineering. Today, the program has grown to approximately 140 professional scientists and engineers who serve 30 schools, child development centers, and community service organizations. RESET programs are delivered to PreKindergarten–through 8th grade (ages 4 through 12), including charter schools and STEM focus schools. We offer in-school, after-school, Saturday, and summer programs. The heart of RESET’s mission is to improve attitudes, motivation, and scientific literacy, as these are necessary precursors to later achievement. RESET challenges the assumption that very young children are not enduringly influenced by early experiences with science and math and not sophisticated enough to learn and retain science vocabulary and ideas. Familiarizes students with science vocabulary, concepts, and behaviors in ways that are accessible and engaging. Eases apprehensions and motivates future learning, both academically and professionally. Nurtures interest in STEM achievements, innovations, and professions. Models scientific behaviors and thought processes in ways that can be replicated by both teachers and students. Helps students to gain a better understanding of the role science, math, and engineering play in today’s world. Encourages children to be curious, to take initiative, and to form thoughtful hypotheses. Stimulates thinking and teaches problem-solving skills and strategies. Prepares students to participate as citizens in public decisions on scientific issues. Provides a positive and engaging volunteer experience for STEM professionals who want to share their skills, expertise, and knowledge with children in meaningful ways.